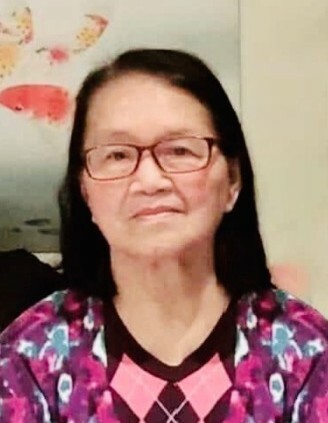 Rosalia A. Castillo (nee Asonio), 73 of Union passed away on April 9, 2019. Family and friends are invited to attend a visitation for Rosalia at the Galante Funeral Home, 2800 Morris Ave. Union on Friday April 12 from 5-9 PM, with a funeral service being celebrated at 8 PM. Cremation will be held privately. Born in the Philippines, Rosalia lived there much of her life before moving to Union with her family five years ago. A dedicated home maker, Rosalia most enjoyed caring for her family. A talented cook, she especially loved treating her family to her famous rice cakes. Rosalia was the beloved wife of Leonardo Castillo; loving mother of Manny Castillo and his wife Angelica, Leonardo Castillo, Jr., and Shiela Castillo. She is also survived by her dear grandchildren Felix Marion Isles, Dianne Erika Isles-Lafrades, Kristine Nicole Isles and Xavier Raphael Castillo; and by her great-grandchildren Kian Cano, Avianne Amarah Lafrades, Felicity Quinn Isles and Jeremie Elise Isles.